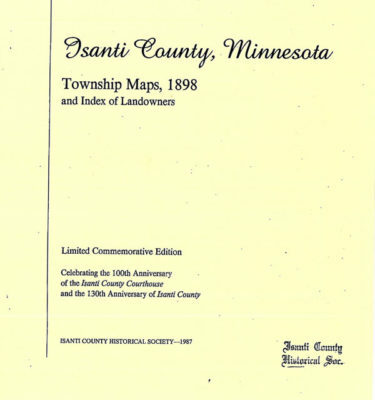 Living History is an important part of our programming at Isanti County Historical Society. History and imagination come together at our summer Historic Old Time Schools. Students will travel back in time and have the opportunity to appreciate traditions from attending a One Room School House in rural Isanti County. Students who are in grades 1-8 and over the age of six find out what it was like to attend a rural school in 1900, and we ask them to wear old-fashioned clothes, bring two sharpened lead pencils and an old-fashioned lunch in a basket or pail. Students may bring old books, toys, wooden articles, etc. to show at school. Family and friends are welcome to visit the school any day during school hours. There will be a program by the students on Friday. *Sessions 2, 3 and 4 are now completely full. Please email us so we can make sure we get your information for next year or see if we’ve had any spots open up. There is a $5 online registration fee per student. All kids are welcome. If your child has a disability and/or is paired with a one-on-one attendant in the public schools, please let us know so that we can accommodate your child’s needs. The West Riverside School is located west of Cambridge, and is one mile north of Hwy. 95 on Co. Rd. 14, so turn north at the stoplight after the bridge. Students will learn songs, play games, experience stories and crafts from the year 1900. Classes are held in the recently restored Spencer Brook District #1 one-room schoolhouse. Registration is open to ages 6-13 (must have completed 1st Grade). Limited to 20 students only. Online registration available for Spencer Brook only. Spencer Brook Online Registration Click Here! Printable Registration form Click here! Classes are held from 9 am- 1:00 pm There will be a performance on the last day of each session. Spencer Brook School is located right across from the Spencer Brook United Methodist Church.